Realise the self. Liberate your mind. Dance your brains out! little YOGA festival is super stoked to showcase YogaRhythms (R.I.A & Kara-Leah Grant) as a part of their 3 day wellness weekend at The Mount. Come yoga, get hot with these two hot women, and move your good things with us. Saturday Night 19 September 2015 at Mauao Performing Arts Centre. It’s not just yoga and music. It’s YogaRhythms. If you haven’t already experienced this pumping event: Imagine a darkened ambient space. 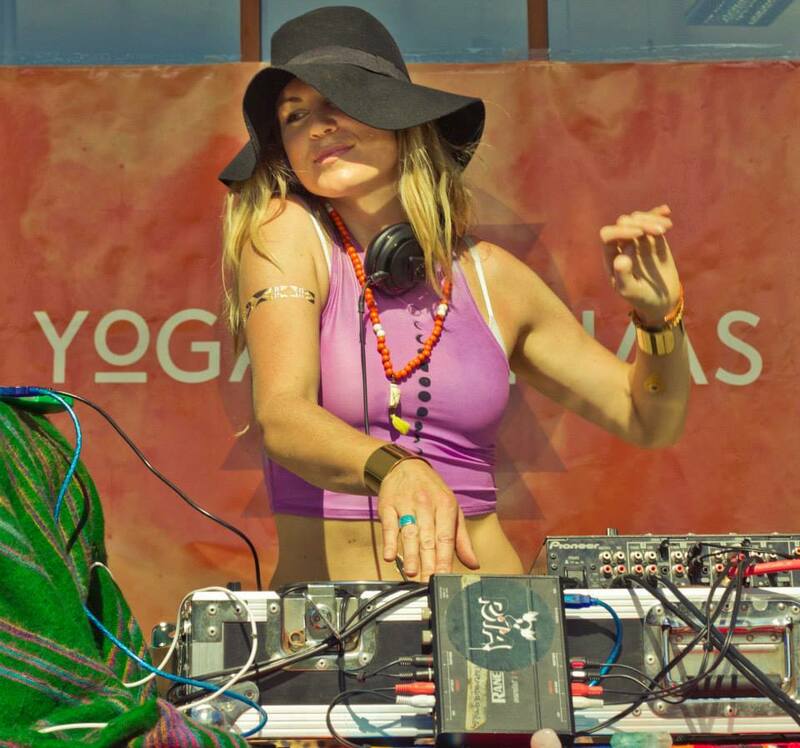 Kara-Leah Grant leads us into a yoga session with R.I.A in the DJ seat. We vinyasa with the soundtrack…the music accelerates, mats are flung and elemental dancing crescendos to the ecstatic. YogaRhythms is a way of using our breath and body to step into trance through the twin vehicles of yoga and dance. It cultivates natural movement, intuition, and creativity and the idea is to embody or harness our innate inner dancer. It’s a deep letting go of all thought and surrender into the depths of your being to a sound-track of psy-dub, world electronica and bass-music. Directed by YogaRhythms Co-founder, Dj and Yoga teacher R.I.A, and led by acclaimed writer, speaker and respected yoga teacher Kara-Leah Grant. Together they create a dynamite yoga-dance experience, like no other.